Best Earplugs for Sleeping - Reviews, Prices & Comparison! Are you a light sleeper easily getting woken by your partner’s snoring or sounds from the TV and looking for a way to get some quality sleep? Do you usually work night shift and find it frustrating to try to sleep the next morning when your surroundings are full of obnoxious noises? Are you a musician or a truck driver who is seeking a noise blocking solution to protect your ears? If you answered yes to any of the above questions, you will be glad to know that there’s a simple solution. This article provides you with the most affordable, comfortable, and effective earplugs for sleeping or for noise reducing. You won’t have to look anywhere else to continue living your life to the fullest. Some of you may have posed the question: Is it safe to use earplugs while sleeping or working? Well, absolutely. As long as you use them correctly. You can sleep well while still being able to hear emergency noises. However, you should not abuse earplugs for sleeping since they may gradually affect your ears’ sensitiveness. If they hurt, stop using them and try another kind. Now let’s look at several types of earplugs categorized according to their materials, and my top pick for each category. Wax earplugs have a noticeable advantage which is they mold to the ears as the wax responds to your body temperature. Therefore, you’ll get into coma-like sleep for the whole night without the earplugs falling off or hurting your ears while you’re sleeping on your side. For all the swimmers out there, these work great in the pool as well due to the tight seal they create. A customer whose husband “snores like a hibernating bear” (in her loving way of expression) said she was willing to spend $100 on earplugs for only one night of uninterrupted sleep. 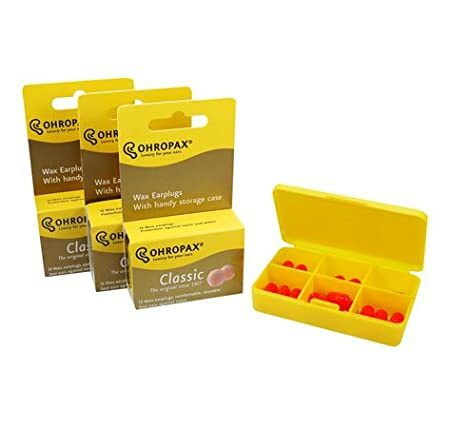 She then found Ohropax wax earplugs for sleeping on Amazon and was totally satisfied with it, and at an affordable price. Just remove the pink cotton-wool protecting each plug before you use them. For those with small ear canals, you may need to break a plug into two before using, but remember NOT to put them IN your ear canal. Don’t forget to read instructions on how to correctly remove the plugs. Wax earplugs get softer throughout the night due to your body temperature, so wax residue may be found on your hands after removing them. With a noise reduction rating of 23 dB, this product will drown out your noisy neighbors and cars driving by. Wax earplugs for sleeping may be a little more expensive than other kinds but these will create a much better seal than most earplugs. You can use them for over a month before they get dirty or too hard and are no longer comfortable. TIP: After use, return them to the plastic case they came in to keep them free of dust and dirt for the next time you use them. Foam earplugs are quite cheap and expandable to fit the ear canals. 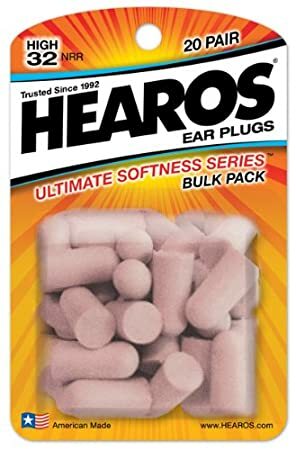 The noise reduction rating of these foam earplugs is 32 dB, which make them the most effective earplugs on this list; however, their effectiveness largely depends on whether they are inserted properly. You need to squeeze a plug and roll it into a small rod before inserting it into your ear canal with your ear lobe being pulled down slightly. The plug requires a few seconds to expand and conform to the canal. People judge this product to be comfortable, inexpensive, and long-lasting (for about 12-15 days a pair if kept clean). Once they are correctly and firmly inserted, they do not stick out of your ear while you sleep. If you just need them for noise blocking to concentrate on studying or working, they work well too because they block the majority of loud noises. With some who have sensitive ears may find it painful when sleeping on one side. Here’s some advice from a customer: use the earplug for only one ear if you sleep on your side. 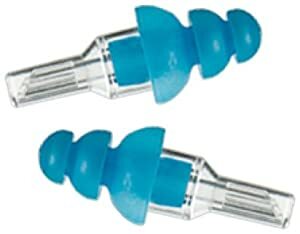 Silicone putty earplugs are highly preferred for sleeping because they are soft, neat, and placed over the ear canal rather than inside like wax and foam earplugs. However, this feature is also where the problem lies. Silicone earplugs can stick to hair and may lose good contact when there’s only a slight chink, letting sound through. The most popular silicone earplugs on Amazon, they can decrease noise by 22 dB and can also be used for other purposes like blocking water while swimming or relieving air pressure on flights. They’re comfortable for your ears and work well 2-3 nights each pair and even last longer if you keep them clean. Try not to drop them onto the floor because dirt easily gets caught in them. 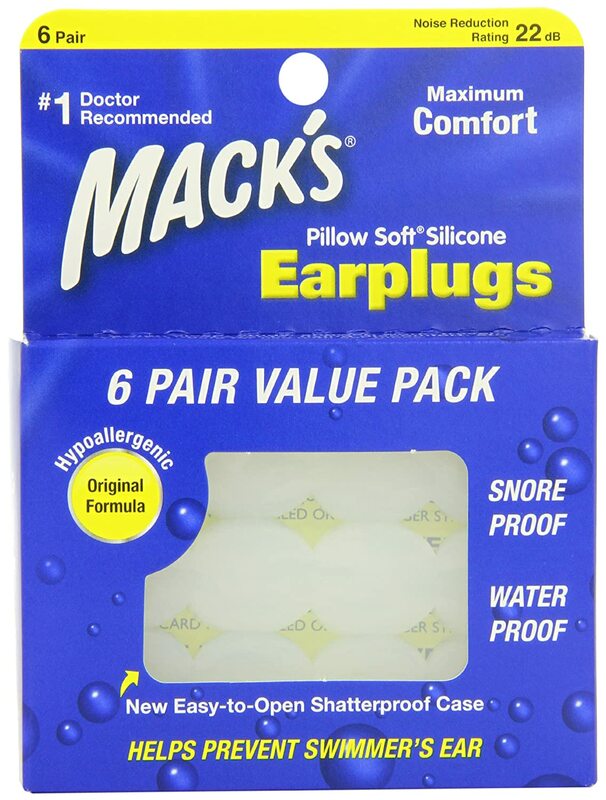 One of the customers has been using Mack’s Pillow Soft Silicone Earplugs for over 10 years! The silicone gets harder to shape in cold weather so if you try to press the plug to make it cover your ear canal, it may hurt. Make sure you warm your hands first and then soften the plugs with your warm hands. While not targeted for use while sleeping, flanged earplugs are especially useful for musicians and are used to eschew overexposure to high levels of sounds. People should not expose themselves to excessively noisy devices or environments of 80 dB or more for 8 hours daily. Any noise louder than 103 dB causes serious hearing problems to someone who experiences it for longer than 7 minutes. ETY-Plugs can block up to 12 dB. Wearing these, you feel like you have turned the volume of the stereo down, but not muffled it. Even in the case you’re playing a musical instrument, the ETY-Plugs just block enough noise to let you hear yourself play the music without distractions. Choose carefully among sizes. With the correct size, they won’t fall off and you’ll feel so comfortable that sometimes you may forget you have them on. Are you thinking that you will look weird wearing them in your ears? Not with these earplugs. They are inconspicuous and unnoticeable until you tell somebody to look at them. 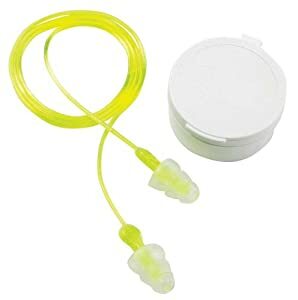 These flanged earplugs come with a cord, keeping the plugs together and making them ready when you need to use them. With a noise reduction rating of 26 dB, they are perfect for air travel, shooting practice, hunting, or motor cycling because they reduce enough ambient noise. Because of their bright color and the connecting cord, they’re not easily lost. Sometimes, the sound of the cord rubbing against your clothes can be irritating. To use them effectively, make sure you insert them properly as the instructions indicate. You should pull out your ear lobe so that the plugs can be inserted straight and far enough into your ear canals. I hope with these earplugs you will get back that good night’s sleep you have longed for. I’m a very sound-sensitive person and my husband snores like a trumpet, so believe me these earplugs are my savior. As always, if you like this article, share it with your friends/family. Also, leave a comment below to let me know what’s your pick and how it works out for you!